We develop and implement our own technology thanks to our on-going effort and investment in R&D. This is why we hope to be aiming for international awards in design and innovation in the short run. 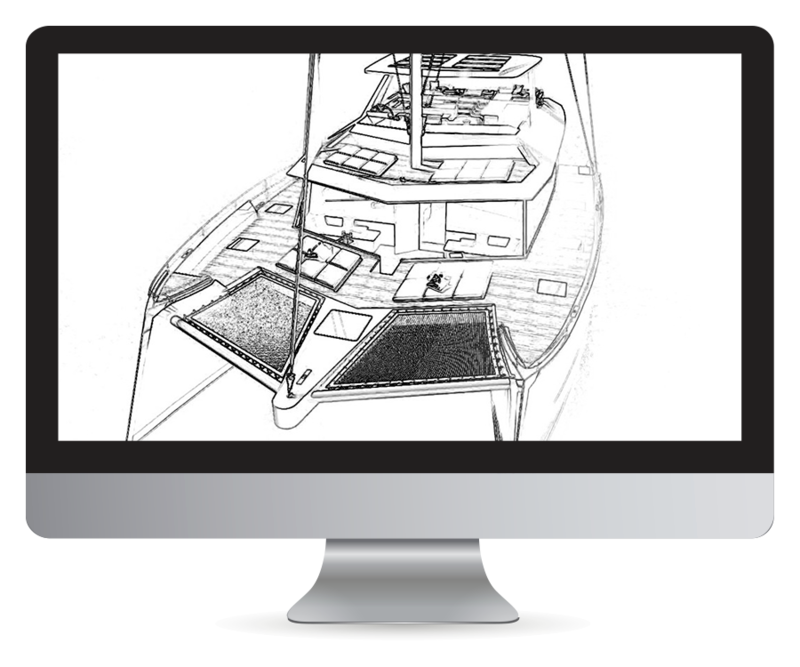 All our catamaran models are previously sketched in a digital-numerical format using the latest technology in terms of design software and product industrial development. We design our catamarans using the best apps to date and we test them by emulating the worst meteorological conditions to garantee maximum security and comfort while sailing. 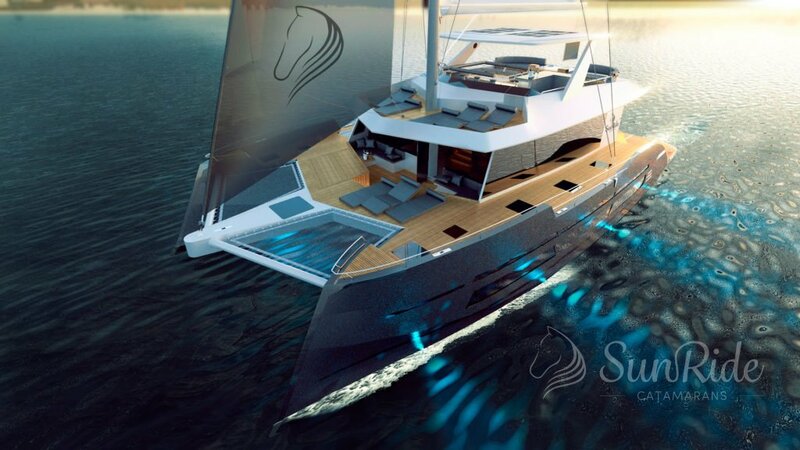 Our designers team is composed of oceanic engineers, technical engineers, industrial engineers, architects, 3D & concept-design and interior designers working in unison without preconceived ideas to develop catamaran that surprise with their inventiveness, their design and their technology. 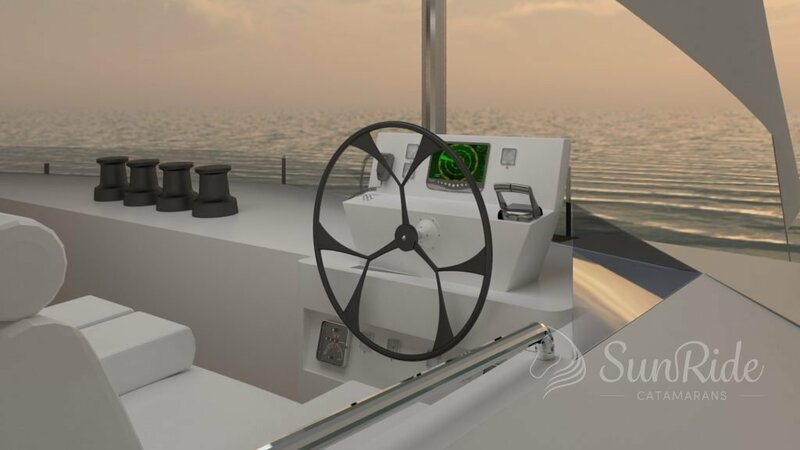 SunRide uses the latest digital technologies and the most developed technical monitoring programs on the market to achieve the best navigability in any condition the boat may find itself into at sea. We oversized all security elements on our catamarans to provide the major serenity both about your own security and your investment with us. We build the hulls of our catamarans with the most adapted and reliable materials according to the length of the desired ship. We are able to build them in naval steel (5083, 5086) or selected fiberglass. Our interior designers are always looking for design innovation, maximum comfort and space optimization. 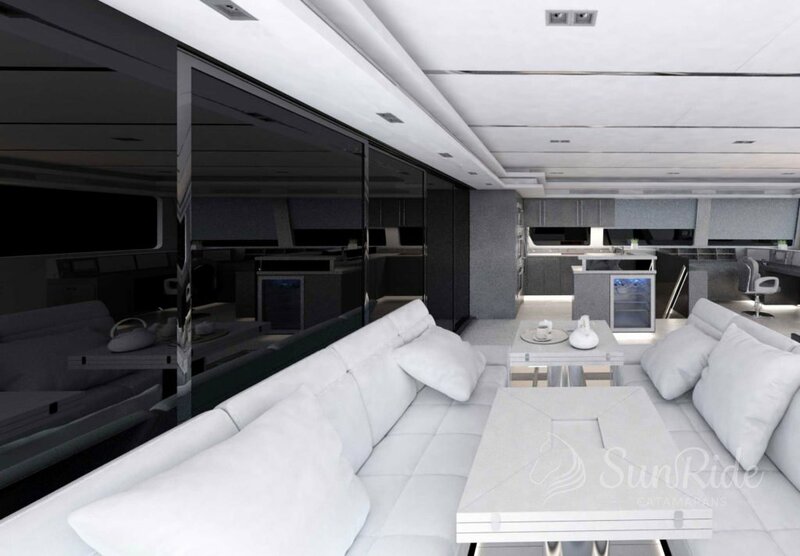 SunRide builds with the most long-lasting and resistant materials to support the test of time and minimize the operative maintenance times and costs of re-styling your catamaran. 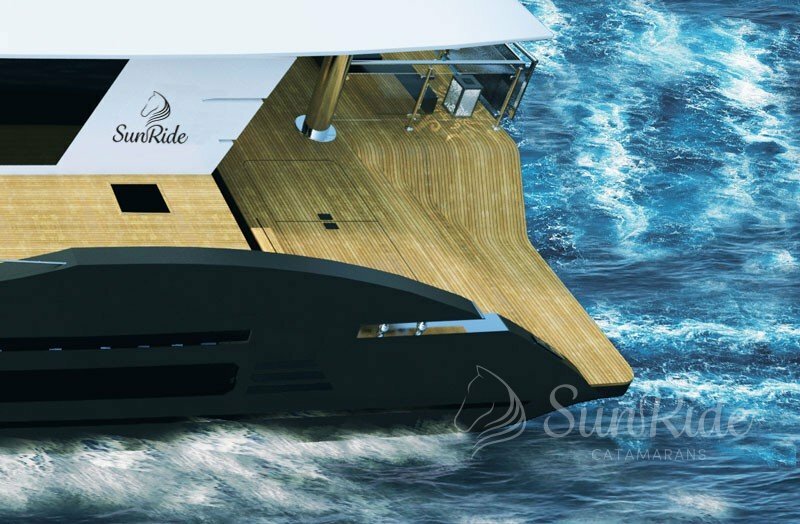 SunRide is commited to the environment and the sustainability of our surroundings. We are working with different groups and societies looking for solutions to protect the environment. As part of our sustainibility policy, we try to use non contaminating and/or biodegradable materials to build our catamarans. All our catamarans have the technology Eco-Green incorporated to reduce the ecological impact during their use. This way, we achieve saving operative costs for the shipowner and make its use profitable.